This past Saturday, my hubby and I journeyed down to Worthington to participate in Green on the Green. We had such lovely weather for an outdoor Scentsy show. 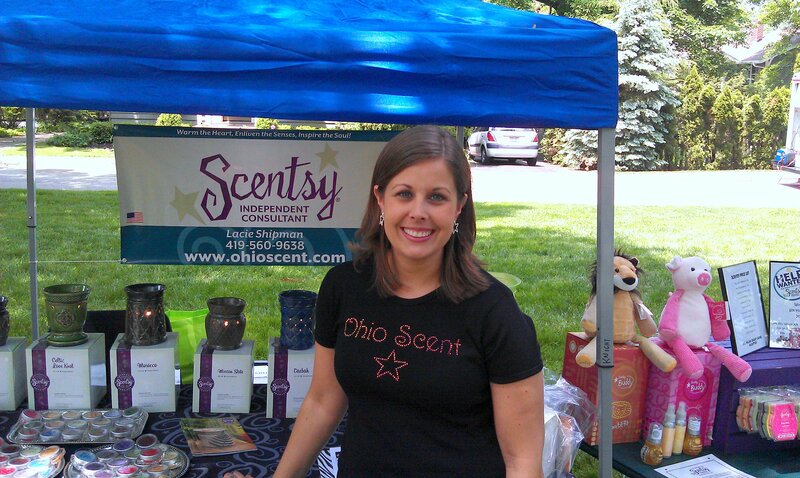 Don't you just LOVE my new Ohio Scent shirt from Just Jen! This site is great for creating custom shirts for your own business, bridal party, birthday party, organization, really anything you can think of. Create your own t-shirt at Just Jen. * Just Jen provided me with a t-shirt to facilitate this post. All opinions are my own.